Fair season is about over. Tie outs have been pitched out, stalls have been torn down and the trailers are headed for home. Market animals have been sold, and breeding stock are ready to be turned out to pasture. Tack boxes are soon to be emptied, trailers will be unhitched and the ribbons & trophies will be displayed. And as the show sticks, halters and grooming products are put away for a few months before the next season, one thing remains. I wish I could describe the feeling of entering a show ring. Or the competiveness that opens up when you grab the halter of a show heifer. The intensity that takes over as the gate to the ring is opened, and you drive your hog in. What the heft of a lamb bracing against your leg feels like. Or the fluidness of a goat who walks with you in the ring as you lightly lead them by their chain. Showing livestock doesn't come with a cheap price tag. First you have to purchase the animal and feed it. Then there's the nights in a motel, the meals on the go, and the snacks & beverages that filled the coolers. The entry fees, the registration fees and the health check fees. But can you put a price on the life skills a child gains while showing livestock? The child who forges friendships that span species and states. The way parents can let little kids run around the barn, knowing a community of friends are watching over their well being? The trust that is developed between a youth & their animal. 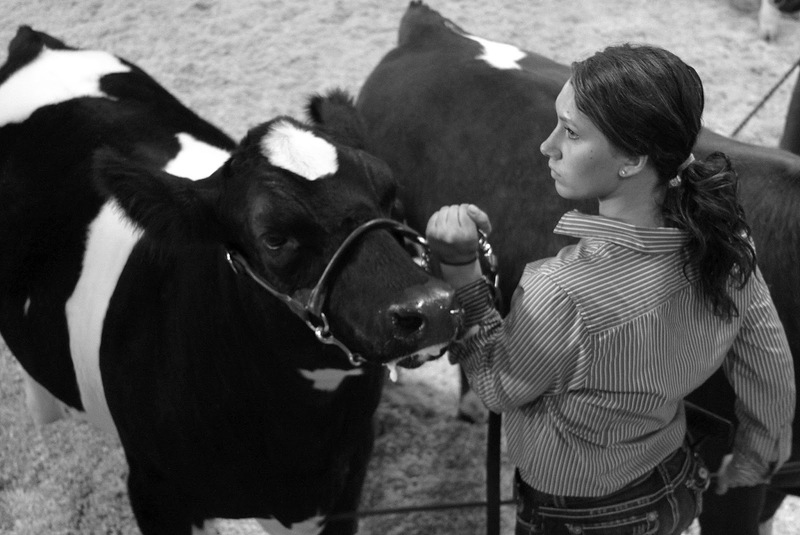 Showing livestock is more than just a great feeling or a number in the budget. Showing livestock is a matter of teaching children life long skills. We ask a lot of kids who show animals. To multi-task getting an animal ready with preparing themselves and mentally staying in the game. To balance leading or driving an animal with paying attention to the judge and others in the ring. We ask them to win humbly, and lose with grace. All of these things that we ask of a kid who shows livestock; eventually we expect from adults. 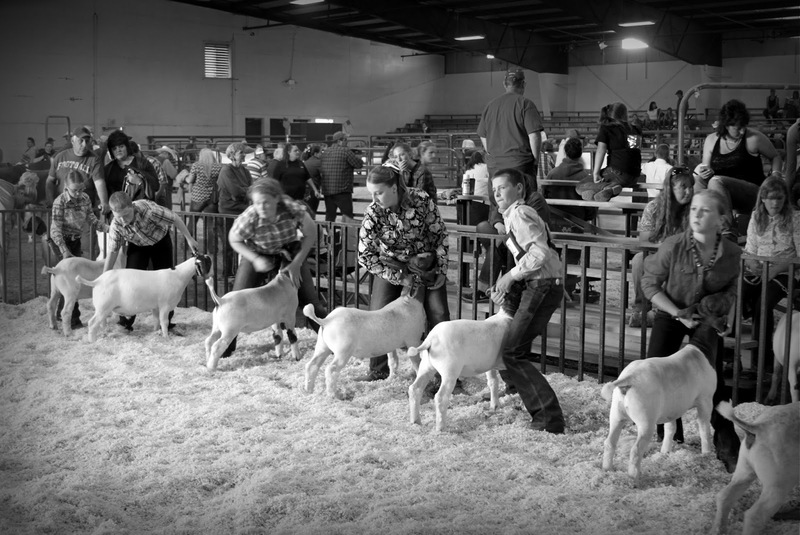 Teaching it now in the show ring prepares youth to practice those skills that will be required and desired when they're grown. That in itself can explain right there why showing livestock matters and why it's worth it. The ability of a child to balance all that is asked in & out of the show ring? And that's why the cost of showing livestock in the long run is worth it....because it creates youth and future adults that matter. And we need people that matter. Clint, this blog post popped up in my Facebook feed, posted by a friend who lives half a country away from you (and next door to my father-in-law). I loved reading it! If you are ever judging in Minnesota or Wisconsin, or northern Iowa, you'll have to let me know. I'd love to catch up with you again sometime. Hi Shari, this is Darcy, Clint's wife. I'll be sure to show him your comment. Take care! I e-mailed the link to my Mom. Her reply back "The best one yet!" Keep in mind Mom is an ole show girl herself and learned from her Dad. Glad you had a fun and relaxing Labor Day weekend. Thanks so much for putting in words what so many of us feel is the best way to raise our children! This was my life as a child thru my teenage years and now it's my children's lives today... Thank you for posting. What a great article! Being in Northeast Iowa, we also show animals at county and state fairs and it DOES matter! For the reasons you listed and more. What a great National community we make - it's unfortunate that there are so many in the country that do not get this opportunity. Thanks for sharing your thoughts, pictures and heartfelt words. I thoroughly enjoyed it! Dear amazing cousin, you are all over my news feed here in West Central Iowa! So proud of you and your talents! Thanks Alayna! :) Can't wait to see you all next week! I really enjoyed this! And it's all so true, even for a "horse girl"! I wouldn't go back to change anything about my childhood and I don't think my parents would either! I would like to add Time Management as a skilled learned through showing livestock. These kids are expected to manage school, homework, extra-curricular activities & the practices that go with them, in addition to daily chores in the barn. Also, when they are attending major shows, their teachers expect them to complete their assignments & not fall behind the rest of the class. I totally agree - good point! Absolutely spot on! Love it! Love this. I am a 4-h leader, mother and former 4-her. Love what animals do for kids and families! Thanks for saying it just how I would have. This was Beautiful! I am a Licestock Mom, 4H leader and have been involed in 4H since I was 5!! I BLEED GREEN! I have always said when it come to my son that " I am raising an adult". This hit the nail on the head! thanks for sharing and I cant wait to read more!!! You are amazing at sharing your passion with the world through words and photos! Cheering and so very thankful I have a friend like you when I become a fair mom this year! LOVED this post, Darcy! You put words to my thoughts. I'll never regret any of the hours I spent preparing animals for a show or the hours our kids are spending doing it now. Best time spent with family for sure! Thanks to all the kids, parents and volunteers who are part of helping our youth develop these crucial life skills! I felt myself nodding my head along with all these thoughts! I grew up showing horses and sheep so I totally understand! Fabulous Article! Beautifully written & very meaningful! Such wise words! Perfect! This is all so true. My daughter shows dairy goats and I so agree with all of this,,,, because showing livestock matters! Thank you! I miss the days in the show barn. We have friends all over the USA from showing. I can't wait until the next generation is ready to show. This explains it all why parents, leaders and advisors find the time and the funds to make it happen.